“All Scripture is inspired by God and profitable for teaching, for reproof, for correction, for training in righteousness; so that the man of God may be adequate, equipped for every good work.” (2 Tim. 3:16-17). Therefore, any position of support, counsel, training, discipline, or teaching should be grounded in the inspired Word of God. We believe the Scriptures provide a template that defines normal and abnormal behavior. Humans operate and function at their optimum when they are aligned with God’s principles of order and structure. Anything outside His order places one in discord with the Holy Spirit and will produce spiritual, functional, and relational consequences. It is impossible to counsel someone into “healthy alignment” when using the template of the world. As a result, the biblical counselor must become intimately knowledgeable and responsive to God’s Word and the leading of the Holy Spirit if he/she is to be effective in the delivery of Godly care. 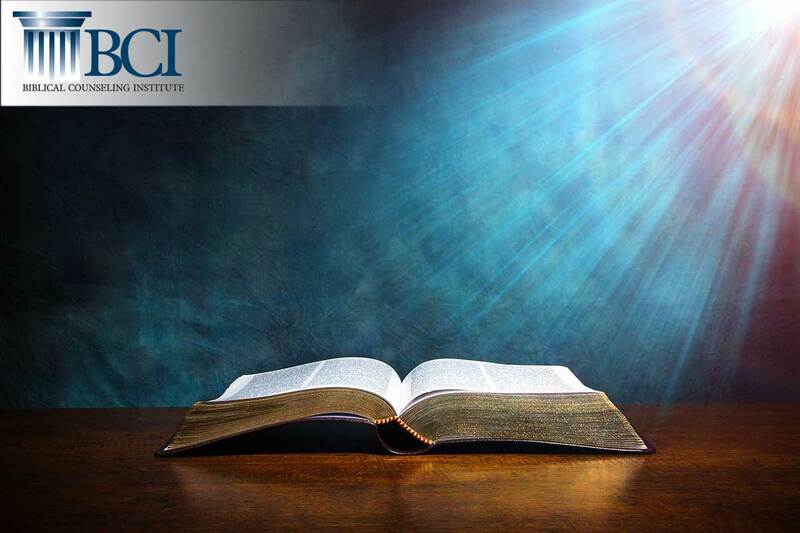 The goal of BCI is to return God’s Word to the center of any setting where counseling, teaching, and discipleship occurs. We want to help the Church reclaim this all important spiritual territory, embracing it’s responsibility to restore the fallen (Gal 6:1-2) and evangelize the lost (Matt 28:19-20). Rather than refer hurting individuals and families to secular resources, we hope to see the Church return as the primary source of counseling and teaching for its community. “As a result, we are no longer to be children, tossed here and there by waves and carried about by every wind of doctrine, by the trickery of men, by craftiness in deceitful scheming; but speaking the truth in love, we are to grow up in all aspects into Him who is the head, even Christ”(Eph. 4:14-15). Our objective is to train a growing number of candidates each year to rightly apply God’s Word in all counseling settings including the church, discipleship programs, youth and family ministries, the mission field and other Christian settings. We seek also to generate leaders and teachers within this field of ministry who may continue to advance the message of biblical sufficiency throughout the U.S. and overseas. “Go therefore and make disciples of all the nations, baptizing them in the name of the Father and the Son and the Holy Spirit, teaching them to observe all that I commanded you; and lo, I am with you always , even to the end of the age. "” (Matt. 28:19-20). By doing so, the Institute can provide an alternative to traditional learning models that focus primarily on secular methods of psychological intervention. This process will empower and engage the Body of Christ, through church and clinical settings, to care for its people while also bringing evangelistic truth to those outside the Body. “But God composed the body, having given greater honor to that part which lacks it, that there should be no schism in the body, but that the members should have the same care for one another. And if one member suffers, all the members suffer with it; or if one member is honored, all the members rejoice with it” (1 Cor. 12:24b-26).